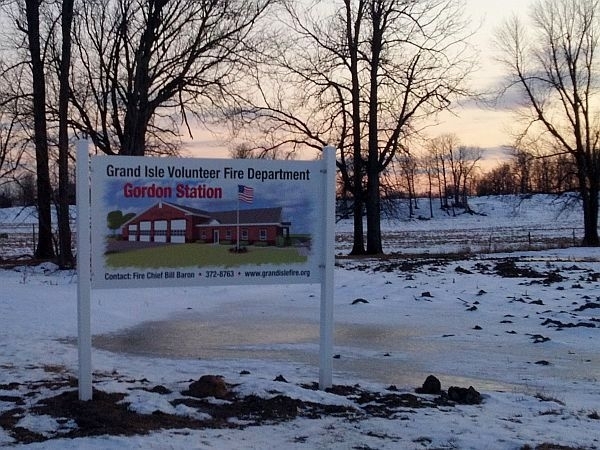 Voters in Grand Isle will decide today whether to build a new fire station for the town. Two ballot items ask voters to support just over two million dollars to build a new station on Route 2 for the volunteer department. Fire Chief Bill Baron gave a presentation on the idea to voters at Grand Isle’s informational town meeting last night. (Baron) "The problems with old building are really based on health and safety issues for the firefighters, and the fact that we’ve just outgrown the facility. (Baron) "For example, in the old station when a engine starts, the exhaust fumes stay in the station. The new station has an exhaust extraction system that’s designed to remove the diesel fumes from the building so firefighters aren’t exposed to that." Voters will decide by Australian ballot on two bond items – one to construct the new fire station, and a second item to install a photovoltaic electric system on the building.